While almost everyone likes to have fun, there are people in the world who just ARE fun. They can’t help but infuse their personalities into everything they do. I feel fortunate when I get to DJ a wedding for couples like this since it’s guaranteed to be a unique and wonderful evening. 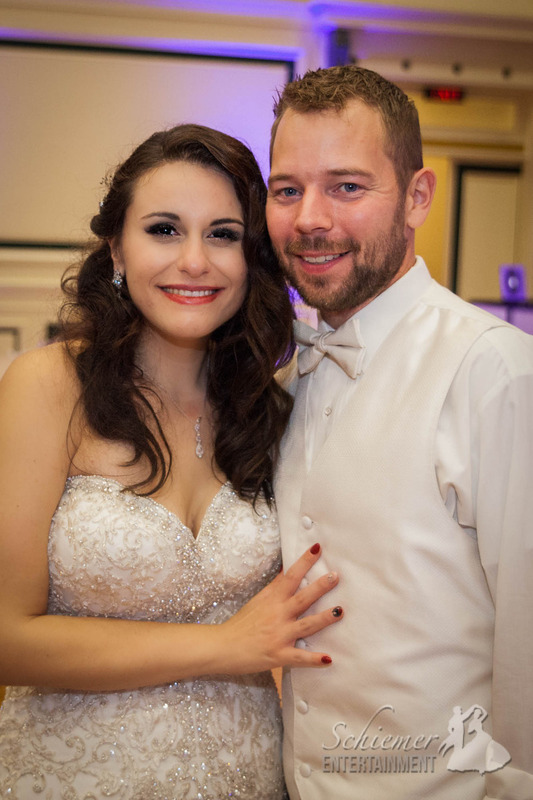 Lauren and Kyle’s wedding reception was an amazing celebration full of great moments and special touches that was a perfect reflection of their style. 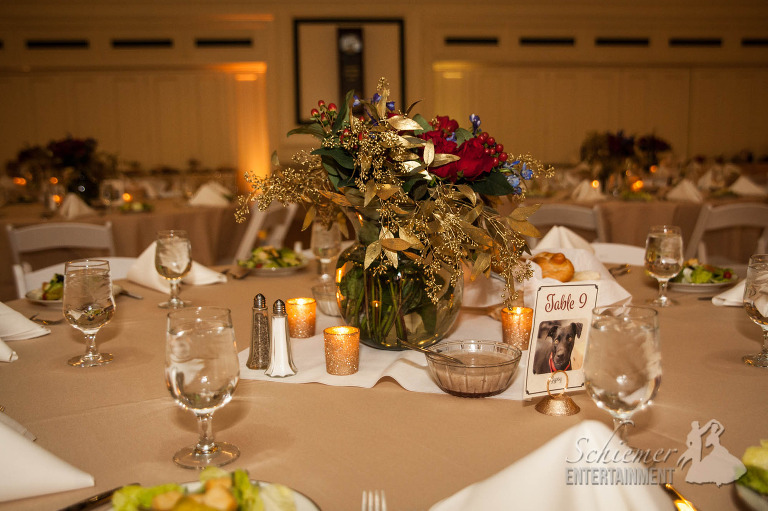 The wedding reception was held on a perfect Fall day at the Soldiers and Sailors Memorial Hall and Museum in Oakland. I’m so glad Lauren and Kyle gave me a chance to provide uplighting and a monogram in the ballroom. Lauren and Kyle gave their guests a real evening to remember. 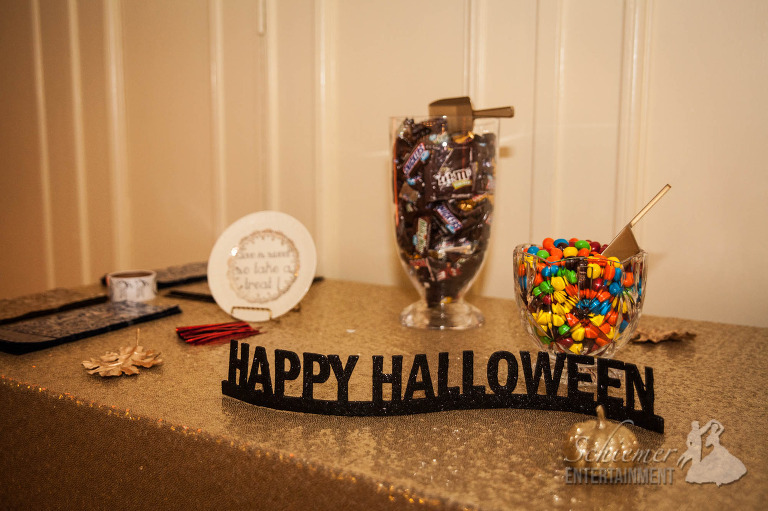 Everything from the candy buffet to the Princess Bride themed caked topper made for a fun and relaxed evening. After a very customized Father-Daughter dance, everyone came to the dance floor and sang, danced, and got a little wild. The newlyweds made it all seem so easy since nothing seemed forced, instead it all was a natural match for who they are. The happy (and super fun) couple will soon be headed for more good times on their Hawaiian honeymoon! Details, details, details. Every engaged couple tries to figure out how to make their wedding stand out without getting carried away. 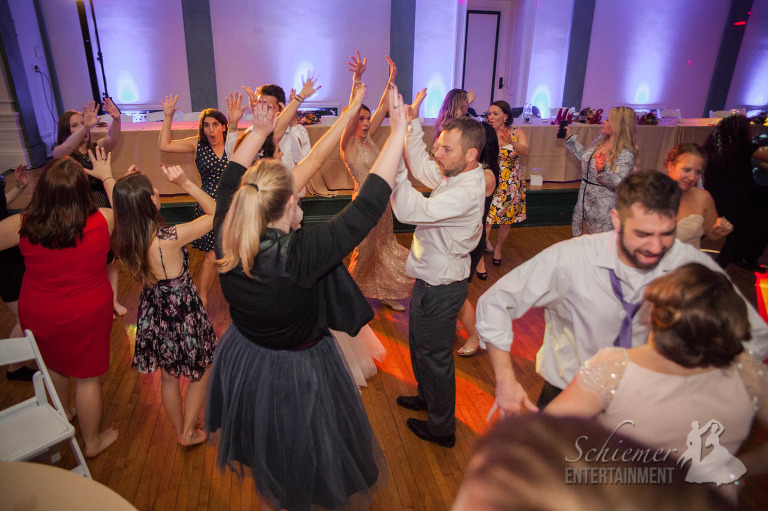 This past Friday I was thoroughly impressed with Sarah Mastalski and Tim Stewart, as they used details in a fun and modern way at their reception at the Soldiers and Sailors Memorial Hall in Pittsburgh, PA. The graphic designer in me just couldn’t help but be impressed with the way Sarah and Tim used their wedding colors of yellow and gray at the reception in such a stylish and unique way. 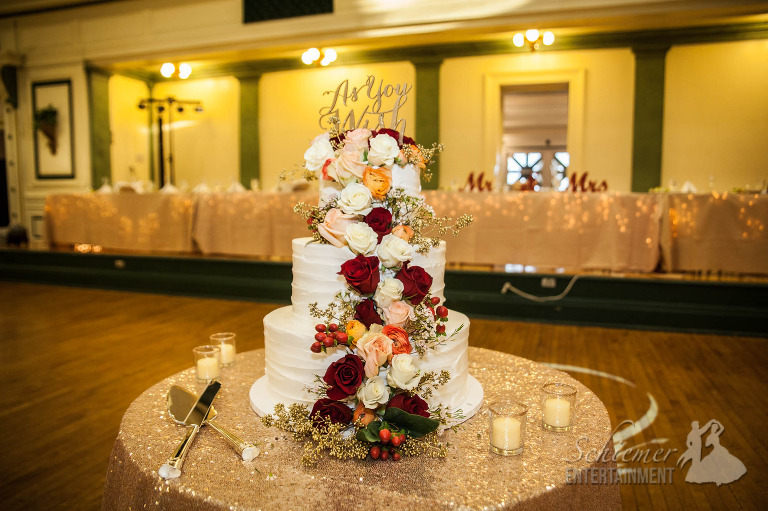 Sarah’s cousin and Maid of Honor made the a one-of-a-kind cake that captured the bride and groom perfectly. Sarah and I talked a bit during the week leading up to the wedding. She had great song ideas that made preparing for the wedding fun for me as I was finding just the right songs to include in their playlist. Sarah and Tim were so relaxed throughout the night, they were able to enjoy the special time with friends and family. After the formal festivities there was tons of time for dancing, visiting and celebrating. After the reception, the guests sent off the newlyweds with a sparkler farewell. At the end of evening, both Sarah and Tim looked amazing, and were ready to head out to the after party. Their wedding day had been as elegant, fun and stylish as they are. The newlyweds can now focus on the details for their honeymoon in Spain. This labor day weekend I had the chance to perform at Soldiers and Sailors Museum in Oakland for the wedding of Ellen Bobrow and Ronald Nestico. Working with Ellen & Ron was so much fun, they had a lot of great ideas to make their day so unique. They had the room setup with different food stations that featured a variety of ethnic foods… the food was amazing. Ellen & Ron chose a nice variety of music for the reception, including some great Italian favorites for dinner. They are big 80’s fans, they chose some amazingly great party songs for their guests to dance to. You have to sing along to “Living On A Prayer” – you just HAVE to! 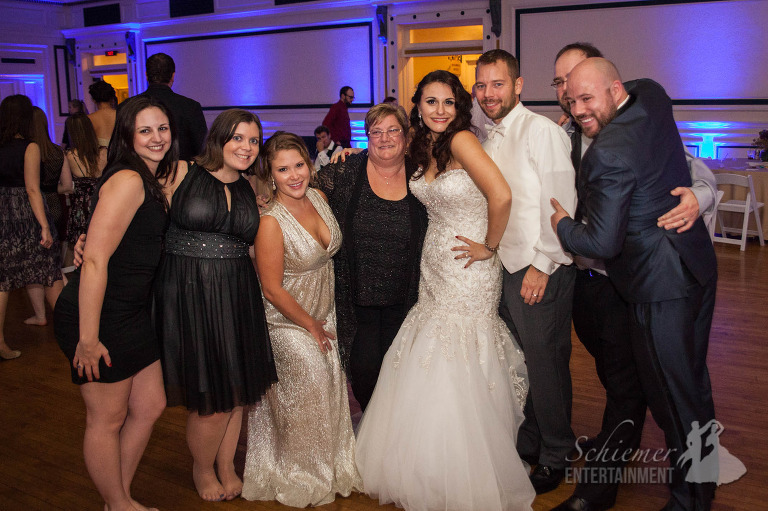 I can’t say enough how great it was to work with Ellen & Ron, they were so much fun and it was clear that they were having a great time all night long!